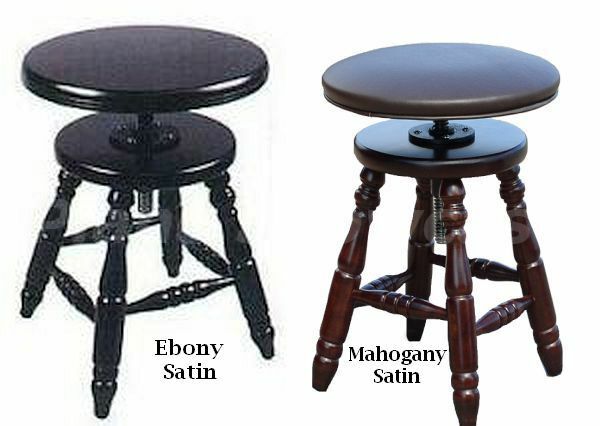 These are not light weight imported stools. They're made in the USA of the finest Hard Rock Maple or Oak construction, needed for this type of seat. Model J-60 - Wood Top - Fingertip height adjustment from 16" to 23"
Model J-70 - Upholstered Top - Fingertip height adjustment from 18" to 25"
As a long time 'Authorized Jansen Dealer', we can assure you of the finest quality along with the fastest delivery and at factory prices shipped to you directly from the Jansen Factory in Wisconsin. I am very pleased with my piano stool which is sturdy and enables me to play at a comfortable elevation. It arrived in perfect condition, ready to go! Thank you for your good service. The quality is great, and it fits well. The seat is a little hard, so sitting for long periods is not easy.